• Prevents Paw Damage From Snow & Salt Treated Areas; Protects & Restores Moisture To Pads. 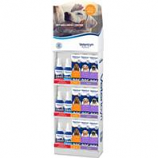 • Pyrethrin Based To Kill Ear Mites Quickly, Easily and Safely. 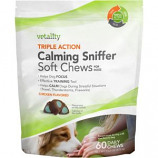 • It Also Contains Aloe Vera To Soothe Pet S Irritated Ears. • Medicated Ear Powder Keeps Ears Dry While Reducing Ear Odor. • Aids In The Relief Of Itching and Makes The Removal Of Hair From The Ear Canal Easier. A Taste Deterrent That Will Protect and Maintain Your Pet S Coat By Stopping Your Pet From Chewing and Biting Itself. • Taste Deterrent For Dogs. • Maintains Coat In Salon Show Perfection. • No More Fur Biting, Hair Chewing, Or Skin Scratching. • Can Also Be Used On Wounds and Bandages. 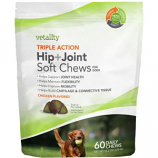 • For Dogs Of All Ages, Sizes and Breeds. • 100% Biodegradable Botanical Plant-Based Formula. • Safe, Gentle and Effective. • No Need To Worry About Unlabeled Contents and Ingredients. 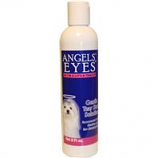 • Does Not Strip Away The Natural, Moisturizing Oils In The Pet S Skin. • Naturals Are Detergent-Free and Contain No Drying Soaps, They Are Safe To Use With Topical Or Oral Flea and Tick Medications. Lubricates joints and repairs cartilage and ligaments. Micronized to insure absorbtion and increase of synovial fluid levels.